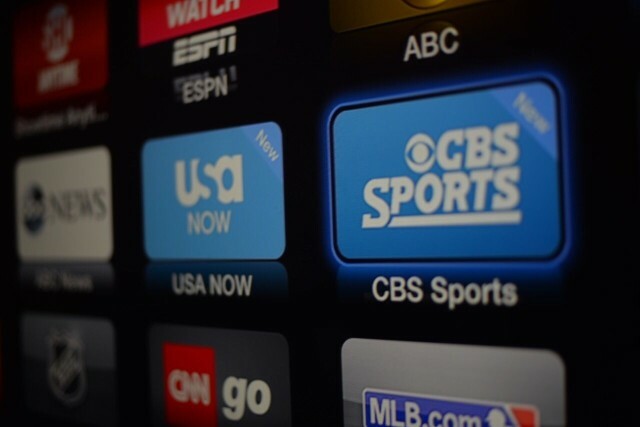 Apple TV picks up new USA NOW and CBS Sports channels. The redesigned Apple TV and its accompanying streaming service are still nowhere to be seen, but Apple beefed up its channel offerings for its little black box today, adding new icons for USA Now and CBS Sports. The new Apple TV’s channels offer viewers access to on-demand sports, TV shows, and movies to customers in the United States, and Apple’s also added Shomi and Crave TV for users in Canada. Both new channels are available as an over-the-air update and should be showing up on users’ boxes today. Sports, sports, and more sports are ready to greet you when you open up the CBS Sports channel. 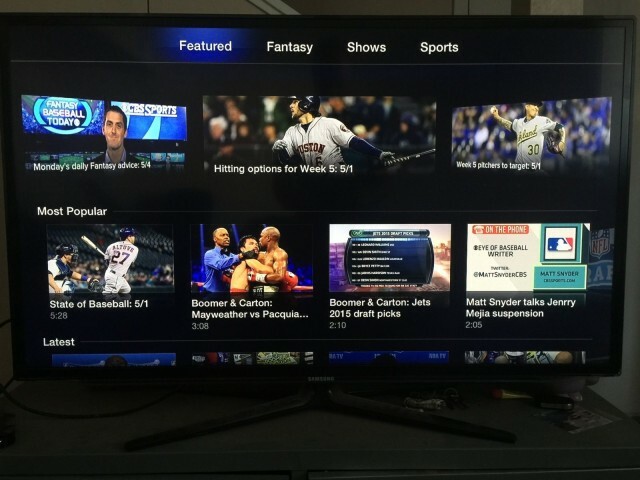 You can watch everything from highlights of the Mayweather vs. Pacquiao fight, get fanatasy baseball advice from experts, or watch clips of popular sports shows. 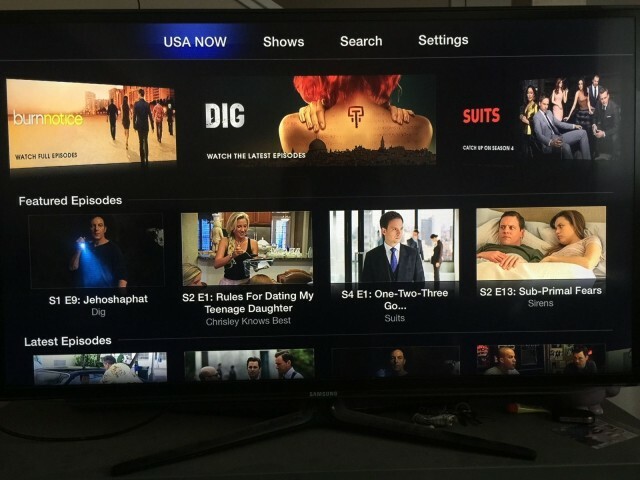 Apple TV users can access the USA’s current line-up of shows including Burn Notice, Suits, Dig and more. Unfortunately, you’ll need a cable subscription if you want to watch any of them. This entry was posted in Apple news and tagged Apple TV, cbs sports, Crave TV, Shomi. Bookmark the permalink. Beats revamp still debuting at WWDC, global release late-June, iOS 9 details revealed.